Ways to find rare Technology Modules in No Man's Sky NEXT. In No Man’s Sky NEXT, you may find yourself struggling to get a hold of the newest crafting item, Technology Modules. Technology Modules were introduced in the NEXT update, and many upgraded items now require them in order to be crafted. Due to their rarity, Technology Modules can be rather challenging to come by in No Man’s Sky NEXT. To help you out, we put together a quick guide on how to get Technology Modules in No Man’s Sky NEXT! There are a few different ways to get Technology Modules in No Man's Sky NEXT. Dismantling each item labeled as Obsolete Technology will net you three Technology Modules. Of course, if you enter No Man’s Sky NEXT via a new save, you’ll need to rely on other ways to get Technology Modules. One way to get Technology Modules in a new save is by heading to a Trade Console at a nearby Trade Outpost or Space Station. Here, you’ll be able to purchase Technology Models. Note that Technology Modules are quite pricey, and will cost you 60,000 Units each. If you have the Units on hand and desperately need a Technology Module to complete a crafting item, you’ll have no trouble acquiring one this way. 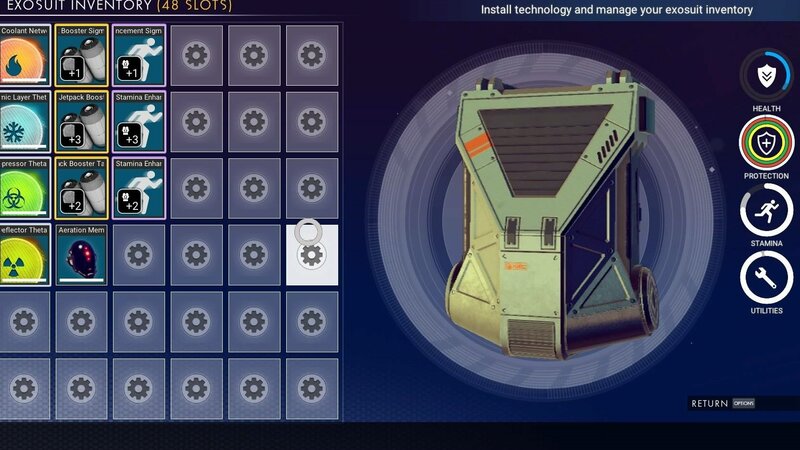 Alternatively, it’s possible to get Technology Modules in No Man’s Sky NEXT by purchasing Tech Upgrades from merchants at various Space Stations. Technology Modules are required for various upgrades in No Man's Sky NEXT. By dismantling these Tech Upgrades, there’s a chance you may get a Technology Module. The higher level the Tech Upgrade, the higher the chance of getting a Technology Module when you dismantle it. Lastly, the patch notes for No Man’s Sky NEXT state that you can find Technology Modules underground by using the Terraforming Tool/Terrain Manipulator attachment upgrade for your Multi-Tool. Technology Modules are rare, so it may take you a considerable amount of time to find them this way. However, it’s still a worthwhile endeavour if you don’t have the money to purchase Technology Modules or Tech Upgrades at your local Space Station. 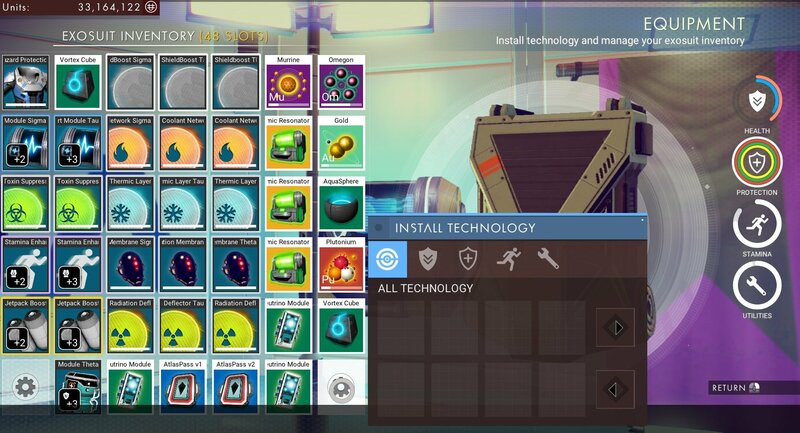 Using these strategies, you should be able to get Technology Modules in No Man’s Sky NEXT. For more on No Man’s Sky NEXT, be sure to read some of our previous guides including how to build and use a Portable Refiner in No Man’s Sky NEXT, how to get Cobalt in No Man’s Sky NEXT, and how to get Chromatic Metal in No Man’s Sky NEXT. By reading through this guide, you should now know how to get Technology Modules in No Man’s Sky NEXT.